No matter what, the Texas Stars season was coming to an end this evening. At times, it seemed like the only people in the world who believed in this team was themselves. At the start of every round, there was some reason why this club couldn't compete with their foe for that series. "They'll struggle against Ontario," we said. Done in four. "Tucson won the Western Conference." Crushed in five. "Rockford hasn't lost in the postseason." Cleared away in six. "Toronto had the best record in the AHL..." And even though they didn't win, Texas took a fantastic, talented team to the brink. Seven games against a club that so many had penciled in for a walk in the park to the Calder Cup. Texas proved themselves worthy. They showed resiliency. They made their fans proud. The final score was 6-1 for the Marlies, and the road to get there is the point of this post. But it's important to remember all of that before recounting how we got here on this particular evening. The Stars were plagued by another slow start, being outshot 19-7 in the first period. It got no better in the second as the final shot count after 40 was 2-to-1 at 34-17. Texas never recovered from the early offensive outburst of the Marlies, and the contest was over nearly before Texas got started. Texas had a great early chance of the stick of rookie phenom Sheldon Dries. On one of the breakaways he has become known for this season, he clanged it off the post. 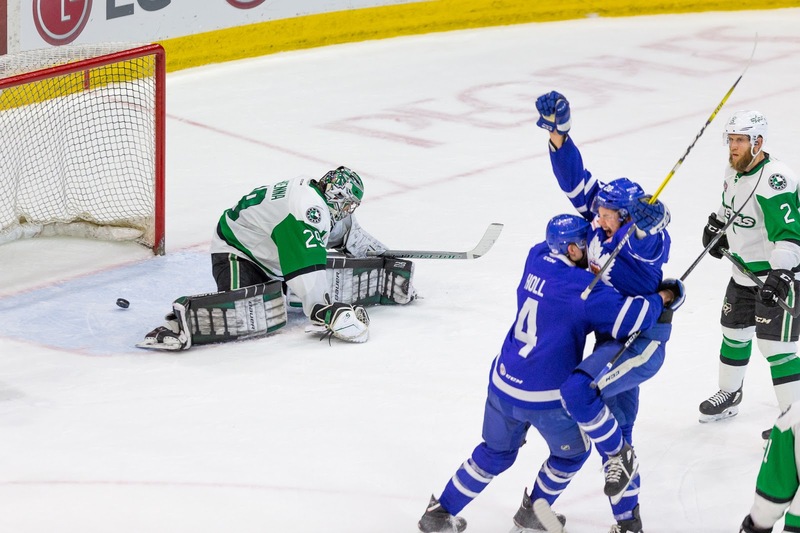 The Marlies paid it no mind as they poured on their offensive onslaught. Their first goal came off a giveaway by Roope Hintz as he looked to exit the Texas zone. Miro Aaltonen picked his pocket and dished to Carl Grundstrom for the shot. Andreas Johnsson cleaned it up for his 9th goal of the postseason, and Texas was in a hole. Toronto's offense didn't relent, pouring on 19 shots in the period to Texas's 7. Just as it appeared the Stars would escape the first with just a 1-0 deficit, Mason Marchment rifled a one-timer from the slot past Mike McKenna with 17 seconds left in the frame. Texas retreated to the locker room down 2-0. The Stars had some solid opportunities in period two but couldn't get anything to go. 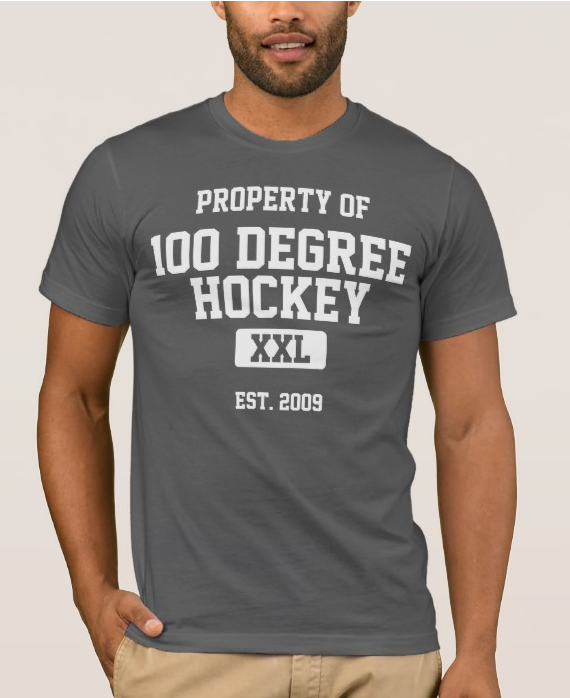 Dillon Heatherington snuck down to the right wing dot and sailed one high over an empty net in the eighth minute of the period. A few minutes later, the Stars thought they had a goal as the puck sat on the line after a good shift from Fyten's crew. The play went to review but was confirmed as no goal, as called on the ice. The Marlies outshot the Stars 15-10 in the middle stanza and led the count 34-17 in the game by that point. Toronto went up 3-0 in the final frame with Grundstrom's eighth of the postseason. It was another giveaway, this time from rookie John Nyberg. 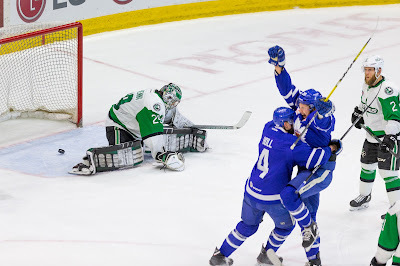 The Stars found the net, ending a shutout bid for Garret Sparks, with a goal that was initially not called on the ice, but was then reviewed and called a goal after the fact. Austin Fyten got the credit for the tally. Andreas Johnsson got his second of the game to make it 4-1 with less than four minutes left in regulation. The Stars pulled McKenna immediately after the goal, and captain Ben Smith found that empty net for the 5-1 score. Then Marchment added one more for the 6-1 final.